Xpress Your Essence: Gratitude List #4: Mothers etc. Gratitude List #4: Mothers etc. Today I wish to pay gratitude, including for my Mom - see my post last year on this (http://xpressyouressence.blogspot.ca/2013/05/tribute-to-mothers-and-mothers.html) - and mothers in general. * Not being a mother (as weird as that may sound) - kudos to all mothers! - except for a brief stint with an adopted cat years ago. Though I love children, I just do not desire that role/responsibility in life, plus I never heard or felt the biological clock ticking. My life purpose/mission is more a pull for me than being a mother. Ok, so tell me, what's on your gratitude list today? Elly, your gratitude list is most appropriate for Mother's Day.Motherly emotions are the same in every mother. The love of a mother is pure,undiluted and selfless. 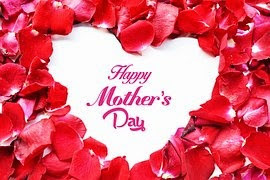 Happy Mother's Day indeed to all mothers, biological or otherwise. A lovely "Mother's Day" themed gratitude list! Wow! you've had a week full of things to be grateful for! Totally awesome! I had a good last week too. I should start making these weekly lists now on my blog. Awesome!! Unless we make such a list we'd never know there's so much to be grateful for!! A great gratitude list this is, Elly! There's so much to be grateful for, if we just stop and think about it!